Welcome... to Blogtobia. 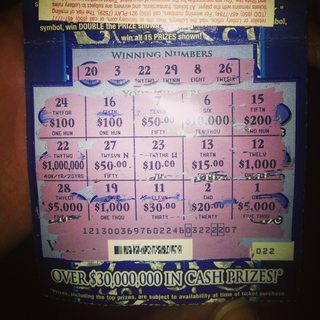 : PHOTO: So this... is what it looks like to ACTUALLY WIN A MILLION DOLLARS ON A SCRATCH OFF TICKET! PHOTO: So this... is what it looks like to ACTUALLY WIN A MILLION DOLLARS ON A SCRATCH OFF TICKET! PHOTO: HA! Best rent check ever!